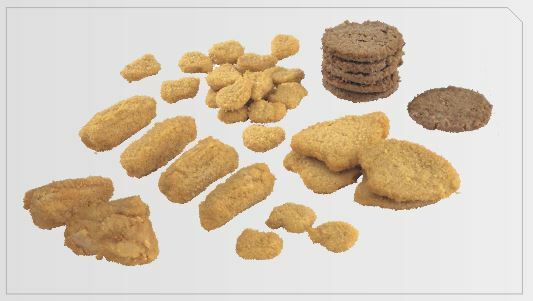 Bestmont offers a large selection of equipment for the production of fried foods. Fully equipped production lines for hamburgers and other fried breaded and non-breaded products, with various efficiency. Solid design combined with the latest technology guarantees reliable productivity and high quality of the products obtained. Frying equipment (fryers): SO 400/3000, SO 400/4500, SO 400/8000, SO 600/7500, SO 600/9000.